I often recommend various pieces of free software which I believe my readers may be interested in downloading, however when getting caught up in the process of downloading new and exciting software it is apparently quite easy to overlook something right under your nose.Windows Movie Maker has been bundled with Windows ever since the dreadful Windows ME (Millennium Edition), and whilst the earlier versions suffered from a woefully inadequate feature set, the later editions have actually been pretty good. The application can be accessed from the Accessories folder from the programs section of the Start Menu and the version you will be using is dependent on your version of Windows.Those who have Windows XP with the latest service pack installed (this will have most likely been done automatically) will be using version 2.1 however if you own Windows Vista then you will be using version 6.This skip in version numbers is due to the fact that 3, 4 and 5 were skipped to bring the program version number in line with that of the Operating System (Vista is the release name for what is essentially Windows 6.0). Windows Movie Maker is ideal for those that want a program which will allow them to edit their home movies both simply and effectively.It is geared more towards the home user than the professional so whilst features present in more advanced software applications may be missing, this will be compensated for in both speed and ease of use. The layout consists of a simple storyboard which you then drop in your existing video clips with the ability to split up longer files as you see fit.This view can then be changed to a timeline so that you have full control as to how long any particular clip is present on screen, the choice and timing of the background music as well as being able to select any appropriate titles which will overlay at any particular moment. When shifting between scenes, rather than just flipping from one section of film to another, you can select transitions so that sections can blend seamlessly together.You are also able to instantly apply a number of effects to individual clips including simple tools such as brightness increase and picture rotation as well as more advanced effects such as pixilation, focus shift and picture warping.You can make sections of your film appear older by adding a sepia tone or selecting individual scenes to appear as though they are being played on an old projector. Whilst most popular formats are supported, there are a few widely used formats such as MOV, MP4 and 3GP which have been left in the cold.If your digital camera or camera phone uses one of these formats then you will have to obtain a converter first off to make it in to something more suitable such as an MPEG or AVI format.There are plenty of free of charge applications which will be able to easily achieve this available from a site such as Freeware Files (www.freewarefiles.com). 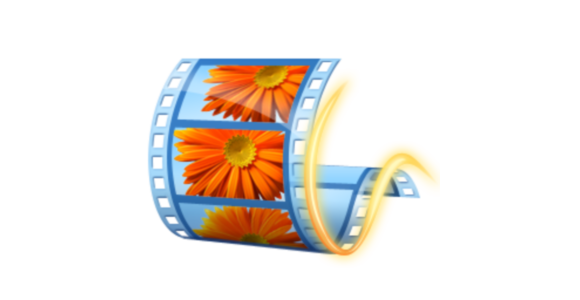 One impressive feature is the ‘Auto Movie’ function which allows you to import an entire movie file which Windows Movie Maker will then edit for you based on a predefined style – it will analyse the movie, split it down in to multiple scenes then automatically apply effects, transitions and background music along with titles.This function isn’t infallible as it relies on a certain degree of calculated guesswork but nevertheless this is an impressive way to quickly and easily create an edited product. Once finished, your movie can be saved to a file which can then be stored, distributed or uploaded to the Internet or alternatively it can be burnt to a DVD.The results you get won’t be studio quality but will certainly stand apart from the long, unedited and wholly unprofessional movies that are often produced at the end of a summer holiday.